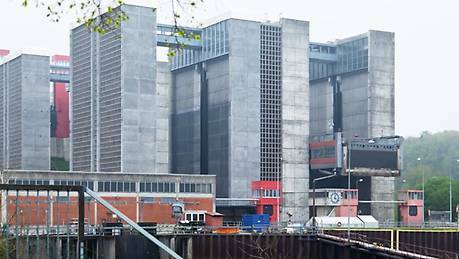 After more than 35 years of operation, the drive technology in the Scharnebeck twin ship lift was modernized. For this project, we supplied motors and industrial gear units from our finely stepped product range. The special feature was that it involved adapting standard gear units specifically for this application. 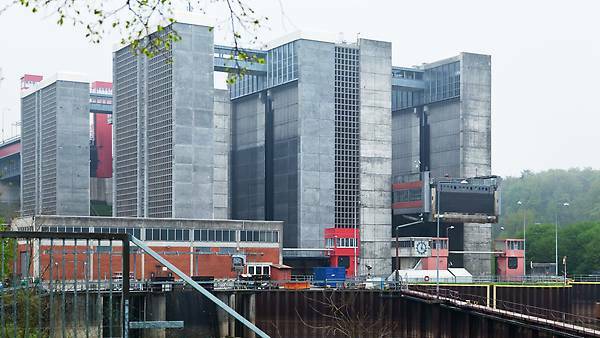 The world's largest ship lift in Scharnebeck on the Elbe river has two passages next to each other in which two troughs move up and down independently of each other. The troughs are 100 meters long and 12 meters wide and have a water depth of approximately 3.4 meters. They lift tonnage in the truest sense of the word, because the total weight of the movable parts of the trough including the water is 11,800 metric tons – as much as 14 entire ICE trains with 16 cars each. The lifting and lowering movements take around three minutes each. 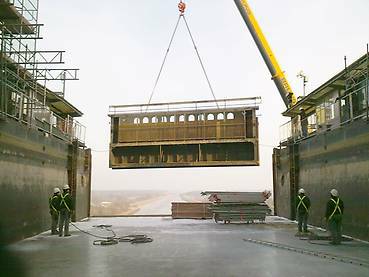 The duration of the entire transfer, including the ship entering and exiting the trough, is around 15 minutes per ship. The troughs are closed using sectional gates in the front and the rear. Each of these lifting gates are lifted by two individually driven link chains that run on the left and right sides of the gate alongside an engine house. 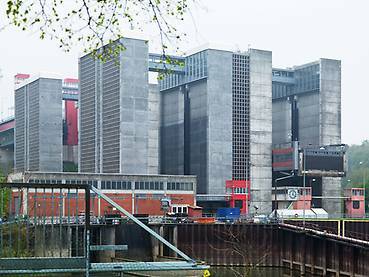 The electromechanical drive technology used in the gates was built at the beginning of the 1970s. 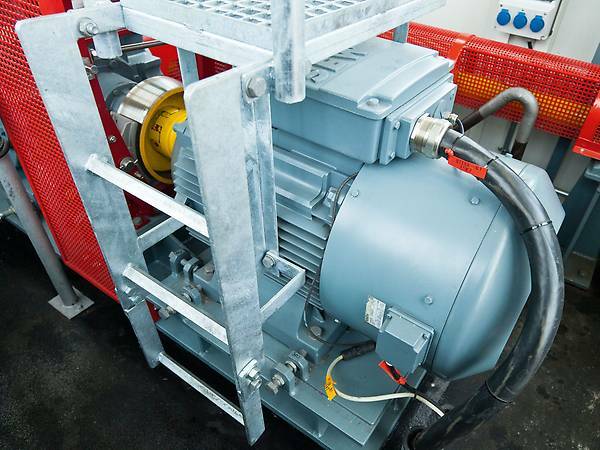 The system consists of an AC asynchronous motor, a drum brake and an industrial gear unit, which is coupled with a second industrial gear unit via a mechanical connection. The system, which was over 35 years old, received a complete overhaul in order to ensure system safety and availability. The operator wanted to modernize all the drive technology. 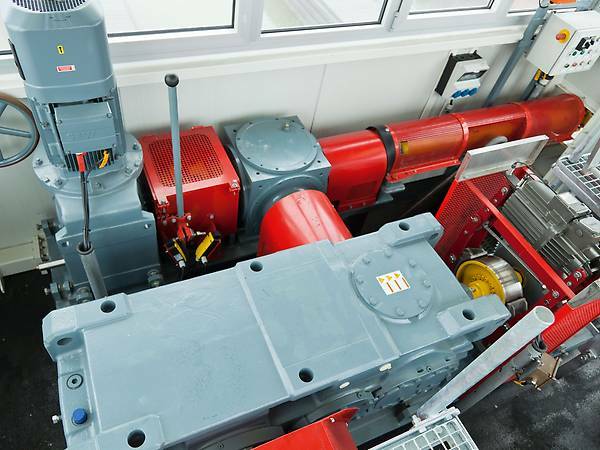 As part of the retrofitting, the torque and the output of the drives were to be increased. 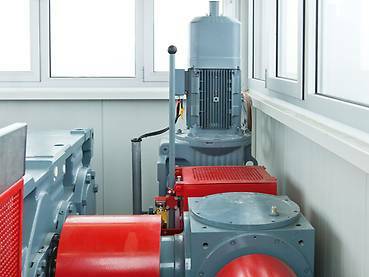 Instead of the previously installed output of 55 kW, the new motors were designed to provide 75 kW. 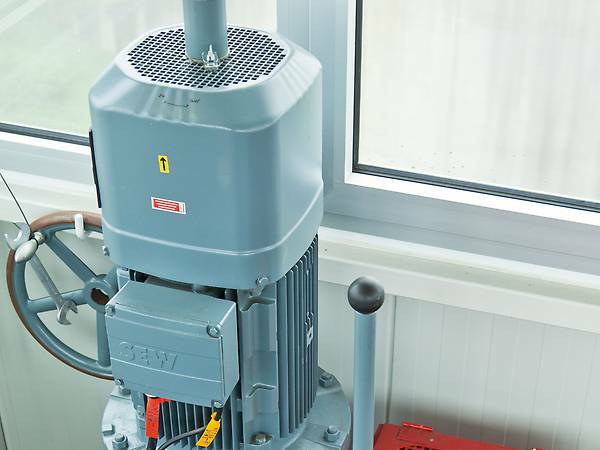 The nominal torque of the gear units was to be increased from the previous 80 kNm to 130 kNm. This resulted in special requirements for the couplings. Our DVE280 S4 75 kW AC motor is now used as the main drive. The motor is connected to our X4KS230 industrial gear unit via a coupling. It has three helical gear stages and a bevel gear input level. The drive unit installed offers the customer a highly standardized drive package that will work reliably for many years to come, and for which spare parts are quickly and easily available if any repair or maintenance is required. One of the operator's requirements was that the basic structure of the system remain the same. 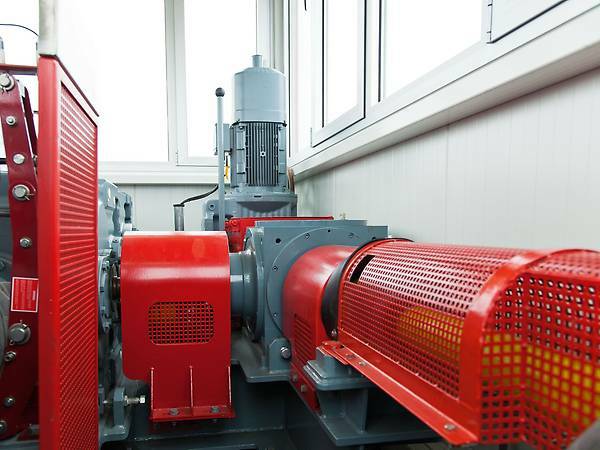 The mechanical chaining of both gate drive units was a part of the original design and the operator wanted it to remain part of the system after retrofitting. 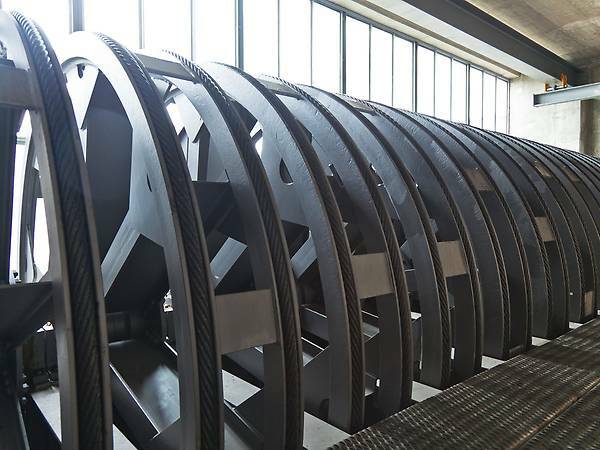 In order to fulfill this request, a mechanical connection from the main gear unit to a second main gear unit had to be created. We produced a modification based on a standard industrial gear unit from the X4 series to meet this requirement. 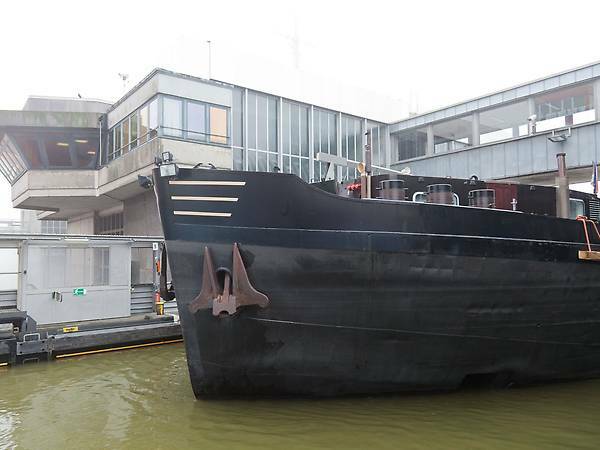 Learn more about retrofit of drives in a ship lift.